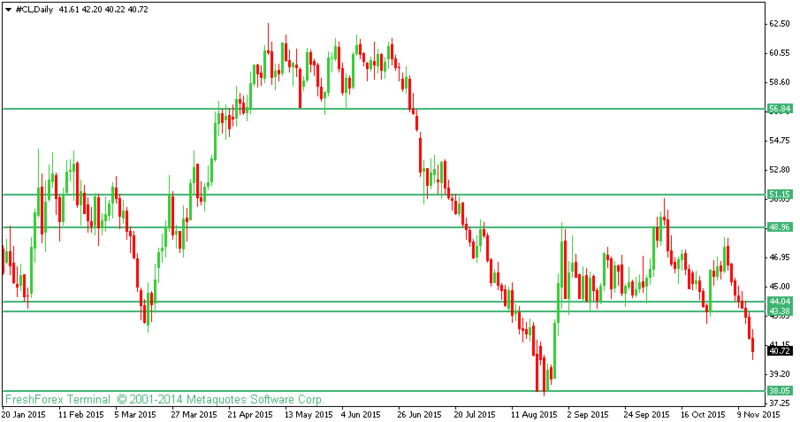 For the past three weeks Gold has traded short following a bounce from a the weekly resistant level 117735. Following the previous week's downward movements, we are very reluctant to go long, however, the size of the previous week's red candle indicate that, although we are headed short, the downward movement may be short lived probably only up to lower support trend line. Any clear movements below this trend line will signal further downward movements to the lower side. We will however be looking for long positions along this supportive trend line. If you haven't sold gold already, wait and sell below 1064.77 but with out targets at 1041.33, and the next target at the support trend line. Since Silver bounced of from a resistive trend line at 16.038, the commodity has continually headed short, The commodity even ended up closing below a very significant support level 14.33. Following this downward movements, we are very reluctant to go long, instead we will remain short but with an ultimate stop at the lower supportive trend line. Any movements below this support trend line will signal further movements to the lower side. 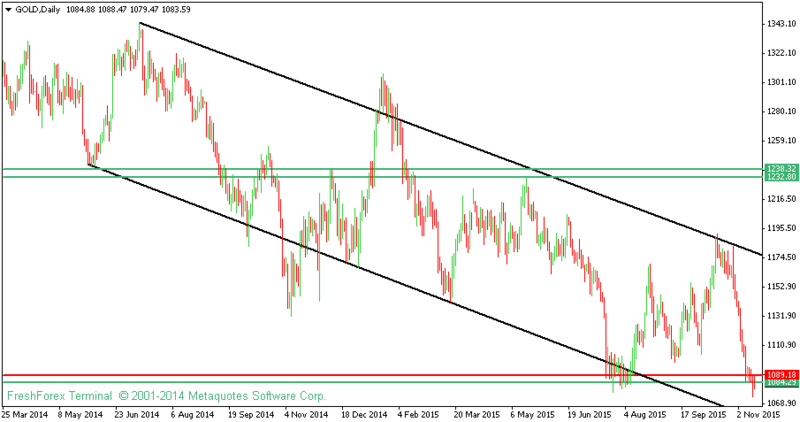 Downward movements in other commodities such as Gold, will signal similar downward movements in silver. These commodities are positively correlated are thus expected to follow similar price movements. 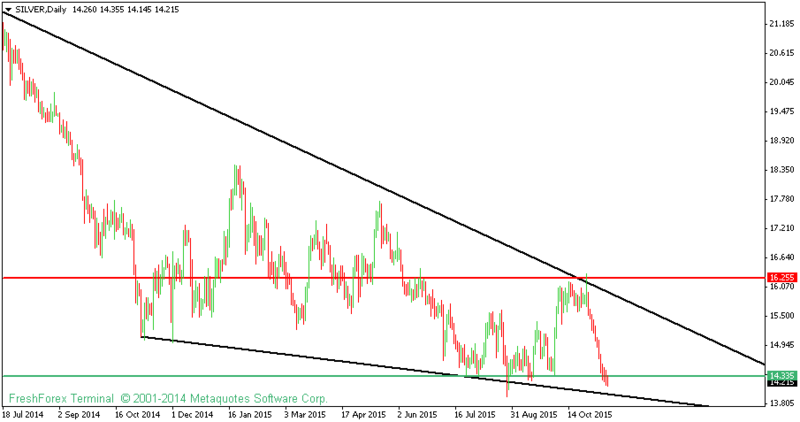 Remain short in the silver markets but with an ultimate stop at the lower supportive trend line. Any clear movements will signal further movements to the lower side. For the past six weeks, after oil bounced off from a key weekly resistant 49.64, the commodity has continued short and is currently trading along a very significant support level 40.41. Following the massive downward movements witnessed during the previous week, we are very reluctant to execute long positions. However, we will be keen to look for further short positions below 36.77. This downward movements is highly anticipated since since other commodities such as Gold has been short for almost three weeks, meaning as long as gold continues short, oil and other commodities may as well be headed short. Gold, Silver, and oil appear to have positive correlation. In an event that bullish candles appear above 40.41, then we will be looking for potential buy positions. this would only mean the demand has began to outdo supply of the commodity. Remain short but only up to 36.77, any clear movements below this level will signal further movements to the lower side.